The Government has launched a consultation on measures that could force companies to reveal the gap in earnings between their CEO and the average employee. 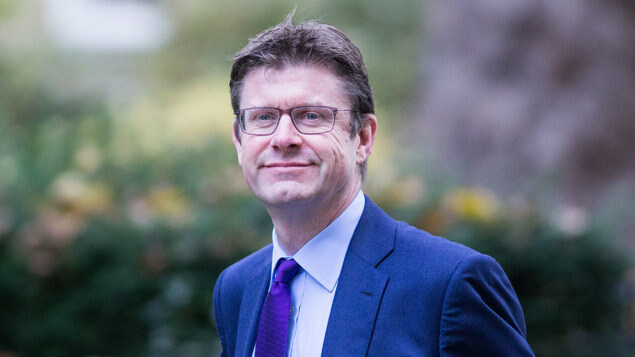 Business secretary Greg Clark outlined the options in a Green Paper published on 29 November 2016. Publicising the ratio of CEO pay to pay in the wider company workforce would allow shareholders, employees and the public to compare executive pay across different companies and require businesses to justify the level of executive pay within a company. However, the Green Paper raised concerns about the utility of pay ratios and the potential for public misinterpretation of published figures. Prime Minister Theresa May hopes the new corporate governance measures will “ensure that everybody plays by the same rules” after previously hitting out at executives who “game the system” – such as BHS chairman Sir Philip Green, who has faced criticism for allowing the retailer to put thousands of employees’ pensions at risk. The proposals formed part of a wider consultation on corporate governance, which aims to increase public trust in business. As well as potentially requiring companies to divulge pay ratios, the Green Paper consults on proposals for shareholders to be handed more powers to vote against bosses’ pay, and to ensure that the “voice” of employees and customers is better represented on company boards. The consultation closes on 17 February 2017. The Prime Minister recently backtracked on a pledge to mandate worker representation on boards, saying there were “other routes” within existing board structures to give workers a voice. Clark told the BBC’s Today programme earlier today that CEOs should be “paid in line with performance”, given that growth in executive pay has “substantially outpaced the performance of underlying shares” in publicly listed companies. Charles Cotton, pay and reward adviser at the CIPD, welcomed the Government’s proposals. He said: “The publication of pay ratios is a welcome first step in addressing the broken system of executive pay. “Alongside the presence of employees on remuneration committees, they will help build greater transparency over executive salaries and bonuses, and should encourage organisations to ensure there is a clearer link between overall top pay levels, organisational performance and the rewards of the wider workforce. However, Mathew Lawrence, research fellow at the IPPR think tank, said the Government could have been bolder: “The aim of corporate governance reform should be to tackle the deep-rooted problems in the UK’s economic model: low levels of business investment and high levels of pay inequality. “While welcome, these announcements don’t go far enough to address these fundamental challenges. The evidence shows there is little correlation between executive pay deals and business performance. Ian McVey, UK director of employee insight company Qualtrics, said the plans to force greater executive transparency could boost productivity. He said: “The Green Paper and Autumn Statement are directly linked because low productivity and dysfunctional employee engagement are two sides of the same coin. The UK is not alone in targeting pay ratios, with US employers set to report them at the start of next year.